You may need to allow a little extra time for your commutes April 24 through April 28 as maintenance work and a first-responder training exercise may result in short delays for Red Line and Blue Line passengers. On Monday through Thursday (April 24-27) from 10 a.m. to noon, MetroLink will operate on a single track at the Swansea and Belleville MetroLink Stations to accommodate first-responder training with the Belleville Fire Department. • Red Line MetroLink passengers may experience delays of 5 minutes. 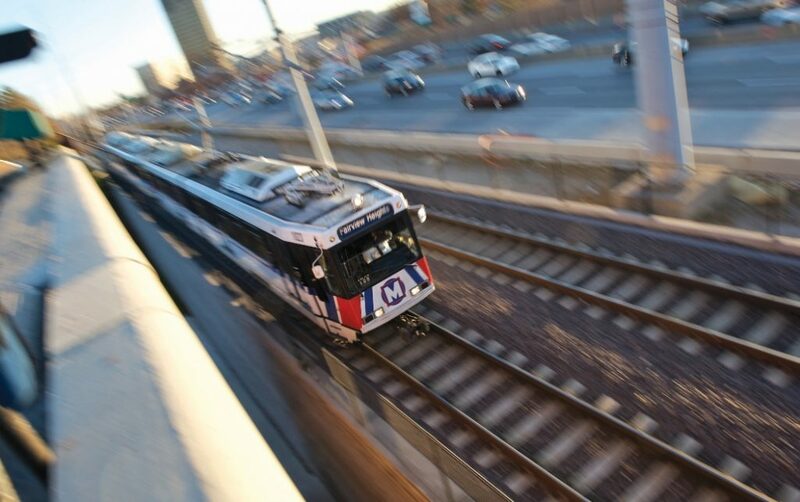 • Blue Line MetroLink service will not be impacted..
On Monday through Friday (April 24-28) from 8 p.m. to end of service, MetroLink will operate on a single track at the Sunnen and Maplewood-Manchester MetroLink Stations to allow maintenance crews to perform track maintenance. • Blue Line MetroLink passengers may experience delays of 5 minutes. • Red Line MetroLink service will not be impacted.